We define web semantics as significant attributes, descriptions, representations, and relationships, of digital objects people find on the web. 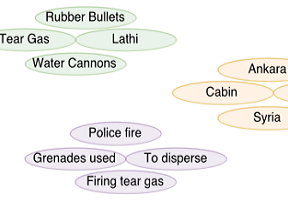 Web semantics provide valuable contextual information, allowing people to make sense of and act on found objects. A common example is product semantics, including price, brand, seller, specs, pictures, reviews, and related products, describing items for sale on many e-commerce websites. These semantics are essential for shoppers to assess if a product meets their needs, compare choices, and make purchasing decisions. Likewise, on social media websites, @usernames, #hashtags, and other linked associations allow people to compare and synthesize diverse perspectives, helping them develop mutual understanding of a topic. We define exploratory browsing as a creative process through which users seek and traverse diverse and novel information as they use the web to investigate a topic or conceptual space. 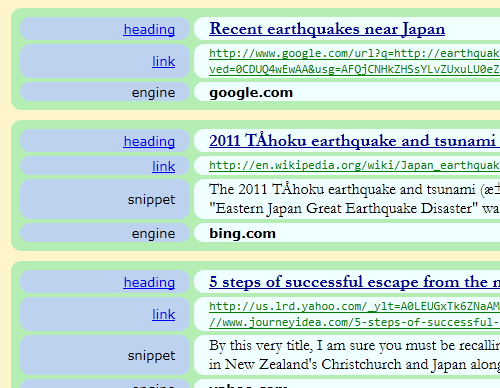 Web semantics facilitate developing exploratory browsing interfaces that visually present links to related information. The goal is to promote serendipitous discovery, which is critical in diverse human activities. 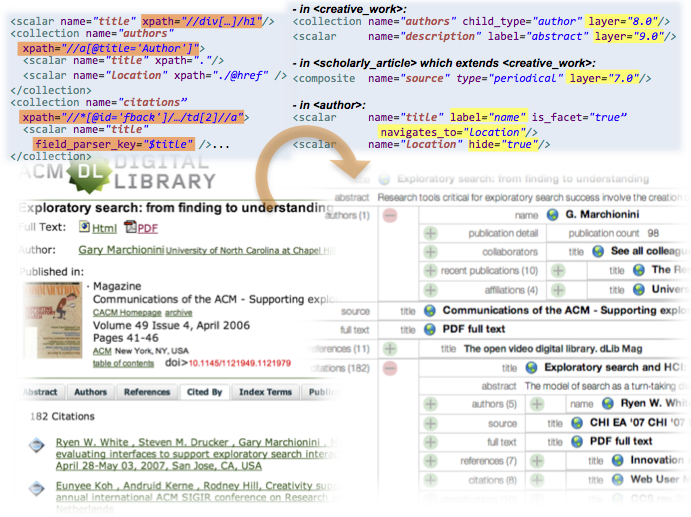 For instance, in scholarly research, exploratory browsing using semantics, e.g, authors, year / venue, references, and citations for an article supports contextualizing with originating and subsequent connected research; it helps researchers in gaining diverse and novel ideas existing within the conceptual space. BigSemantics is an open source architecture, language, and library, for representing, extracting, and consistently presenting explorable web semantics of diverse types. Developers author types (wrappers), using the meta-metadata language, to define reusable semantic data models, rules for extracting semantics from regular webpages, and presentation semantics that guide how information will be presented to users. BigSemantics comes with a non-trivial repository of wrappers, addressing popular websites and common use cases involving searches, products, digital libraries, creative work, and social media. Building upon BigSemantics, we are developing dynamic exploratory browsing interfaces that enrich web experience through explorable web semantics. An example web application, the Metadata In-Context Explorer (MICE), allows users to serendipitously encounter new information in the same context, while maintaining the sense of goals and whereabouts in the navigation process. 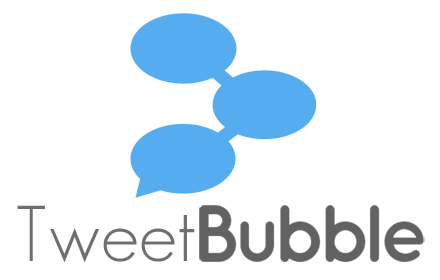 TweetBubble is a Chrome extension that helps Twitter users engage in exploratory browsing, by following associational chains of tweets through #hashtags and @users. Our study show this increases the variety of content people explore,which helps you develop multiple perspectives on a topic. TweetBubble makes browsing a more fun and fluid experience. 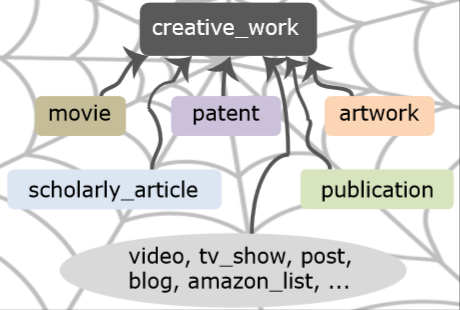 TweetBubble is built with BigSemantics and the Metadata In-Context Expander. Jain, A., Kasiviswanathan, G., Huang, R., Towards Accurate Event Detection in Social Media: A Weakly Supervised Approach for Learning Implicit Event Indicators, Computational Linguistics (COLING) 2016 Workshop on Noisy User-generated Text (W-NUT), Osaka, Japan. Jain, A., Lupfer, N., Qu, Y., Linder, R., Kerne, A., Smith, S. M., Evaluating TweetBubble with Ideation Metrics of Exploratory Browsing, Proc. ACM Creativity and Cognition 2015, 178-187 [28%]. Best Paper Honorable Mention (top 2%). 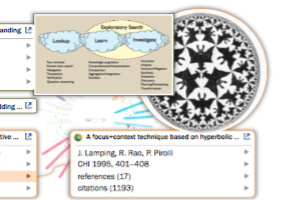 Wilkins, J., J�rvi, J., Jain, A., Kejriwal, G., Kerne, A., Kumar, V., EvolutionWorks: Towards Improved Visualization of Citation Networks, Proc. IFIP International Conference on Computer-Human Interaction (INTERACT) 2015. [29.9%].